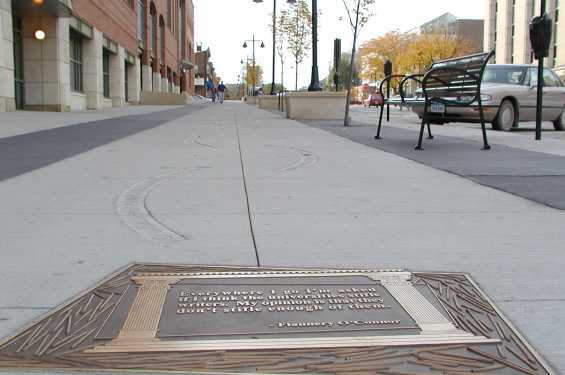 Take a stroll along the Literary Walk, and you'll discover the outstanding array of material represented: there are passages from children's books, quotes from memoirs, and dialogue from plays and short stories. In some instances, you'll notice Iowa's direct influence on the writers' work; Herbert Quick, Bess Streeter Aldrich, and W.P. 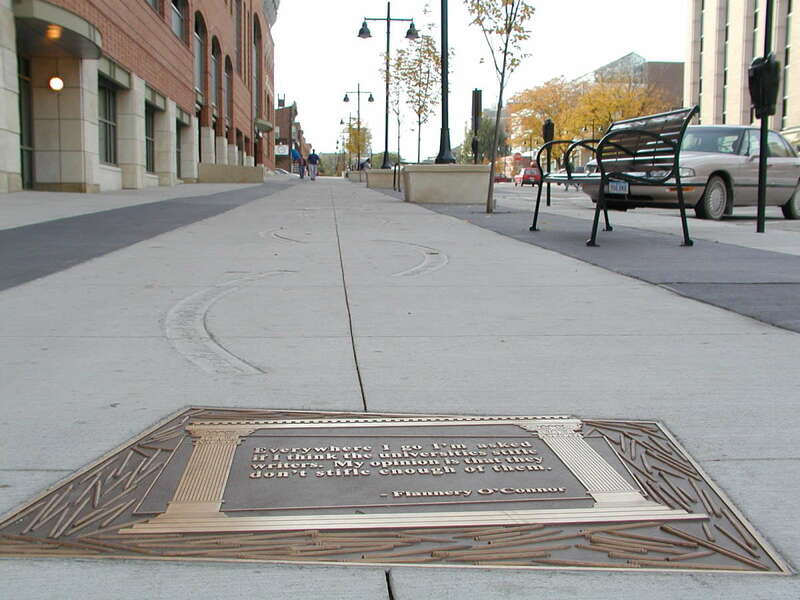 Kinsella are among several to make reference to Iowa in their featured passages. The "Author" section includes Literary Walk quotes as well as brief biographical information for each writer. Each entry reveals the writer's connection to Iowa. Josephine Herbst, William Shirer, and Amy Clampitt were born in the state while others, such as Kurt Vonnegut, Flannery O'Connor, and Rita Dove were involved with the University of Iowa Writers' Workshop, the internationally acclaimed creative writing program.